The Semmes Foundation of San Antonio, Texas, has donated $100,000 to the Douglas Epps Jones–Geological Sciences Advisory Board Endowed Scholarship. The scholarship is intended to benefit students studying in the College’s Department of Geological Sciences. The Geological Sciences Advisory Board is a group of distinguished alumni and friends who play an active role in the advancement of the department.  Annual scholarships are awarded to outstanding graduate applicants pursuing activities directly in support of thesis or dissertation research. The fund is named in honor of Dr. Douglas Epps (Doug) Jones, who served UA for 38 years; he died in April 2010. The Semmes Foundation was established in 1952 by Douglas Ramsay Semmes to support “religious, charitable, scientific, and educational purposes.” Semmes was a geologist who taught at Texas A&M and The University of Alabama; he was the president of Sarnosa Oil Corporation, a Fellow of the American Association of Petroleum Geologists, and president of the South Texas Geological Society.